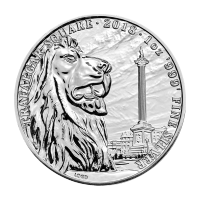 The Standing Freedom silver round accentuates the message of Freedom begun with Freedom Girl and continued with the Sic Semper Tyrannis design. In this round Freedom is featured standing, much like she was in the Sic Semper Tyrannis round with flowing hair, a spear and the Trivium shield. Engraved at the top of the design is the simple word "Freedom'. A simple enough word, small and unassuming but with a meaning that defies the tyranny of the oppressor. 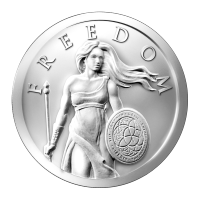 1 oz 2014 Standing Freedom Silver Round The Standing Freedom silver round accentuates the message of Freedom begun with Freedom Girl and continued with the Sic Semper Tyrannis design. In this round Freedom is featured standing, much like she was in the Sic Semper Tyrannis round with flowing hair, a spear and the Trivium shield. Engraved at the top of the design is the simple word "Freedom'. A simple enough word, small and unassuming but with a meaning that defies the tyranny of the oppressor. This round is carries a powerful message and a beautiful design. It is sure to be a collector must have.